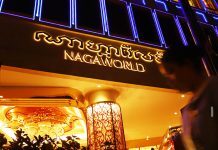 Phnom Penh has been selected to host the 2017 World Economic Forum (WEF) on East Asia, the WEF confirmed on Wednesday. WEF managing board member Philipp Roster made the announcement to Prime Minister Hun Sen during a meeting on Tuesday afternoon at the premier’s Phnom Penh office building, according to a post on Mr. Hun Sen’s Facebook page. A spokesman from WEF’s head office in Switzerland confirmed the announcement but declined to give further details on the summit, which was held in Jakarta last year. Commerce Ministry spokeswoman Seung Sophari said the details of the forum were still being worked out, but it would likely draw political and business interests from around East Asia, the fastestgrowing region economically in the world. 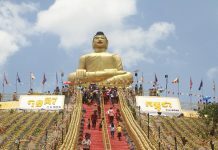 Cambodia’s steady economic growth rate of about 7 percent per year is on par with the average across the region. The WEF is a Swiss nonprofit best known for its annual summit in Davos, which features roundtables paneled by world leaders and decadent parties attended by rock stars and CEOs. The organization also convenes several smaller, regional meetings; the 2016 WEF on Asean will be held in Kuala Lumpur and focus on changes wrought by China’s economic slowdown, technological advances, and new trade partnerships. 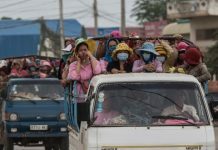 Douglas Clayton, CEO of private equity firm Leopard Capital, said the move was a vote of confidence in Cambodia’s economy and a sign of its growing clout. 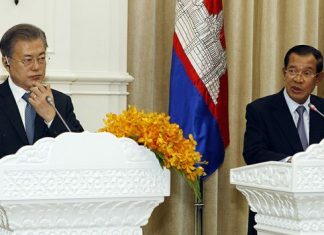 “This is recognition of Cambodia’s status as one of the world’s fastest growing economies and most successful post-conflict countries,” Mr. Clayton wrote in an email.